Posted on April 3, 2019 by Kathy White, J.D. Maryland minimum wage workers will notice a substantial 9% increase in their paychecks next year. Last month, the Maryland legislature passed into law a bill increasing the state’s minimum wage rate every year until the minimum wage reaches $15.00 per hour for all employees. Passage of the law required both the House and Senate to vote to override the governor’s veto of the bill. Maryland is one of six states to enact legislation driven by the grassroots “Fight for Fifteen” movement motivated by low-wage workers seeking higher wages and better working conditions nationwide. California, Illinois, Massachusetts, New Jersey and New York have also passed laws progressively increasing state minimum wage rates until they reach $15.00 per hour. Maryland law permits a one-time temporary suspension of a minimum wage increase if it is determined that total employment for the most recent six months is negative as compared with the immediately preceding six-month period. If the minimum wage is suspended, the minimum wage rate for the preceding January will remain in effect and the specified minimum wage increase will take effect one year later. The law also permits an employer to pay 85% of the state minimum wage rate to employees under the age of 18. Previously, the age limit was 20. The new law still permits restaurant industry employers to take a tip credit toward the minimum wage due to an employee. 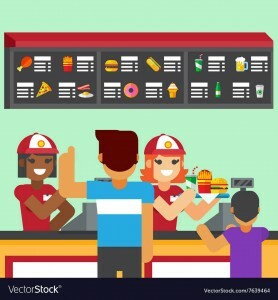 However, forthcoming regulations will require restaurant employers to include on each employee’s wage statement the employee’s “effective hourly tip rate” (derived from employer-paid cash wages plus all reported tips for tip credit hours worked each workweek of the pay period). Other states are currently considering proposals to increase minimum wage rates to $15.00. If and when this happens (as we suspect it will), we will report these new laws in our blog. In the meantime, interested employers can check real-time minimum wage rates for the states and cities in which they operate using the link on our website to the Minimum Wage Tracker tool. Stay tuned!